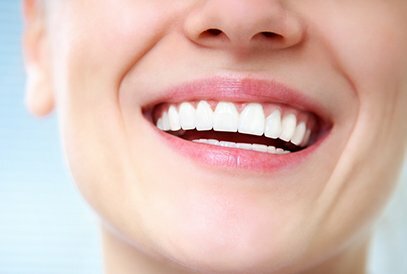 When you think of a beautiful smile, you probably picture bright white, perfectly aligned teeth. However, there’s something you’re missing: the gums. Gums can have a significant effect on the overall appearance of your smile! In addition to providing start-to-finish dental implants, Dr. Dyer is also a highly experienced periodontist who can help fix a variety of gum issues. He utilizes state-of-the-art technology to perform the Pinhole® Surgical Technique—a receding gums treatment—that has made him one of the top periodontists in Sugar Land, Texas. He can reshape and contour your gums, perform ridge augmentation, and more to get your gums back to looking and feeling their best! Sometimes, our gums overwhelm our teeth and cause what is often called a gummy smile. With this condition, there is too much gum tissue showing, which can make teeth look short and disproportionate. With a gum lift or crown lengthening procedure, we can remove excess gum tissue, reshape the contour of the gums, and give you a natural-looking gum line and teeth that appear to be a more correct length and size. This technique is also ideal if your gum line is uneven, making your teeth appear crooked even if they aren’t. When gums recede, the roots of teeth can become exposed. This not only causes pain, sensitivity, and a higher risk for infection, but it also makes teeth appear longer. We can perform a scalpel-free, suture-free, graft-free, minimally invasive procedure to repair the receding tissue, cover the roots, and restore your gum line to its natural form. Through a small hole made by a needle, Dr. Dyer can correct gum recession, prevent tooth loss, and help you achieve a more youthful, attractive appearance. If you’ve lost a tooth or had a tooth extracted, you may notice indentations in your gums where the tooth used to be. This is caused by bone loss in your jawbone that naturally occurs when a tooth is missing. 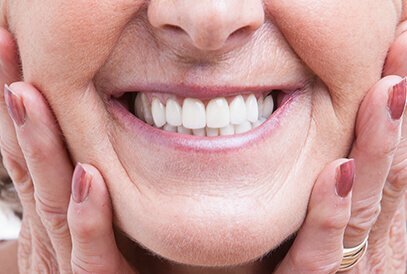 In addition to using a dental implant to replace your missing tooth, we can perform ridge augmentation to smooth out the indentation and restore a natural curvature to your gums and jaw.